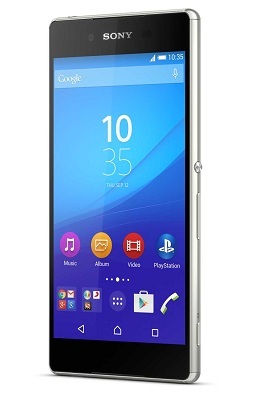 Building on the success of its Z3 series, Sony India today unveiled Xperia Z3+, the slim, sleek and stylish high-performing premium smartphone. 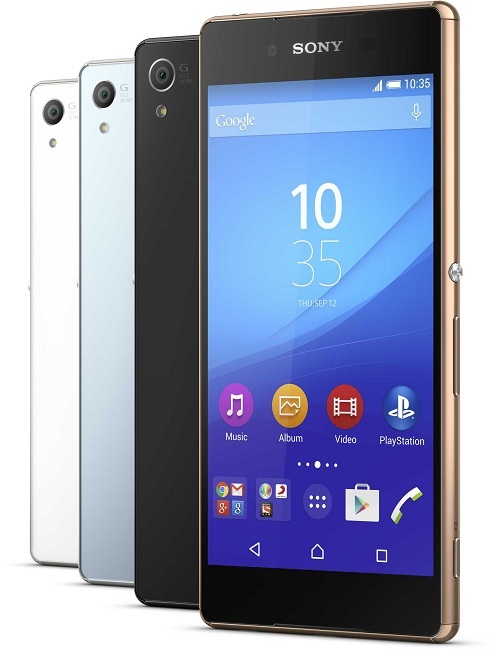 This unique device is the premium addition to the Xperia™ Z3 series flagship smartphones. Coupled with Sony’s superior camera technology that is now packed into both the main and front cameras, Xperia Z3+ helps you get the best pictures. Its Impressive smartphone battery stamina and performance keeps you connected faster and longer, whether for work or play. And Sony’s unique signature waterproof1 design ensures you can do it, whatever the weather. Z3+ continues to offer the best of Sony’s Cyber-shot &Handycam technologies, to ensure a superior camera performance, and extends the camera evolution not just to the main camera, but the front camera too. Now you can enjoy superior photos, even in low light, with both the front and rear camera. From sceneries to selfies, capture the best shots in any light. The main camera features the 20.7MP camera with Exmor RS™ for mobile image sensor, BIONZ™ for mobile processing engine, and a 25mm wide-angle G lens. Create the best shots first time, every time with improved Superior Auto – it automatically optimises settings to give you the best possible picture and can recognize up to 52 different scenes. And with new Gourmet mode, even your food pictures will be looking their very best. Add some fun and creativity to your photos with the latest Xperia camera apps including Style portrait and AR mask.Capture impressive detail even in low light conditions, thanks to the ISO12800 sensitivity and large 1/ 2.3 image sensor. Get great shots even when there is strong backlight, with HDR for photos and videos. Preserve and enjoy your precious moments in high quality with 4K video recording and output. Xperia Z3+ comes packed with the ultra-fast Snapdragon 810 octa-core 64 bit processor2 that lets you browse faster than ever and get the optimal graphics experience. Whether you’re multi-tasking over Wi-Fi or the latest 4G network, Xperia Z3+ delivers the speed you need. LTE Cat6and Wi-Fi MIMO support enable faster connection speeds for a rich, connected experience with up to 300 Mbps LTE data download speeds on the move (actual speed may differ according to operator networks) 3. Download email with attachments in seconds and enjoy video streaming with no delays or unwanted buffering. Xperia Z3+ features an ultra-bright 5.2” Full HD smart adaptive display that provides increased brightness and contrast, without losing stamina.Sony’s TRILUMINOS™ Display for mobile with Live Colour LED and X-Reality for mobile ensure sharper and more vivid colours. Intuitive contrast enhancement delivers the most optimized viewing experience, even in bright sunlight. Sony’s rich expertise in audio technologies lets you enjoy sound in incredible detail and clarity. High-Res Audio reproduces high-frequency sound for a studio quality experience. DSEEHXTMupscales the audio fidelity of your existing MP3 or AAC tracks to near High-Res Audio quality. And for high quality wireless music listening, Sony’s new LDACTM codec transmits data three times more efficiently than legacy codec overBluetooth. For those times when you need to block out background noise, Xperia Z3+ supports digital noise cancelling and pairs with the MDR-NC31EM headset, reducing ambient noise by up to 98%. The Xperia Z3+ can identify headsets (both Sony & 3rd party) and optimise audio settings to deliver the best audio output.Xperia Z3+ can sense both the type and style of headset and automatically adjusts the audio settings accordingly for best sound experience. Keep playing your favouritePlayStation®4 (PS4™) games wherever you are in the home with PS4 Remote Play2. Simply connect your Xperia Z3+ to your PS4 via home Wi-Fi and use the DUALSHOCK®4 Wireless Controller to ensure you never miss a minute of the action – whatever room you are in. And to ensure you continue to enjoy the best experiences that Sony has to offer, all Xperia Z3+ users will benefit from access to Xperia LoungeGold – delivering the world of Sony entertainment at your fingertips. Get access to exclusive competitions and offers; be among the first to try out new apps; and enjoy the latest movies, TV episodes and music included with your device.